McLaren is on a roll. Last year they launched the track-oriented version of the Senna, the Senna GTR, at the Geneva Motor Show. 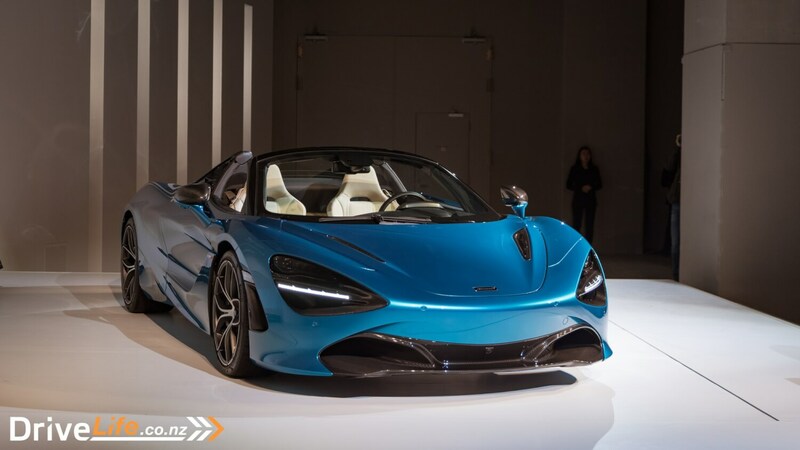 In the summer, the 600LT was introduced to compliment the Sports Series range, while the Speedtail became the third model in the Ultimate Series. 2018 saw McLaren sell 4806 cars worldwide, a 43.9% increase over the previous year. 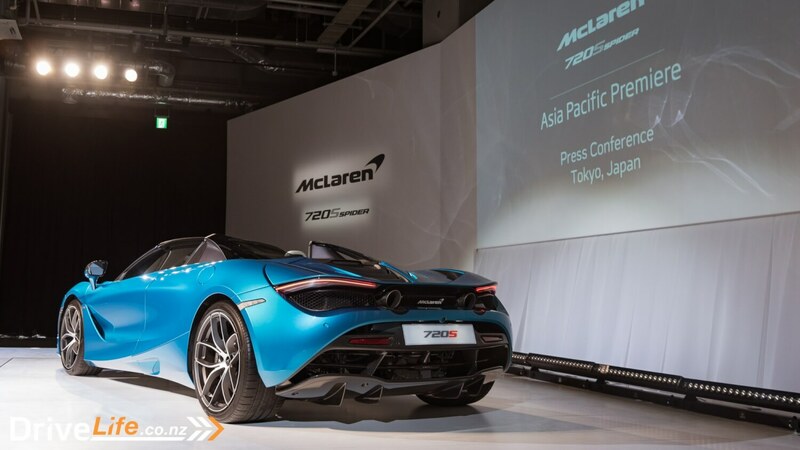 Japan, McLaren’s fourth largest market behind the USA, UK, and China accounted for 222 of those sales. 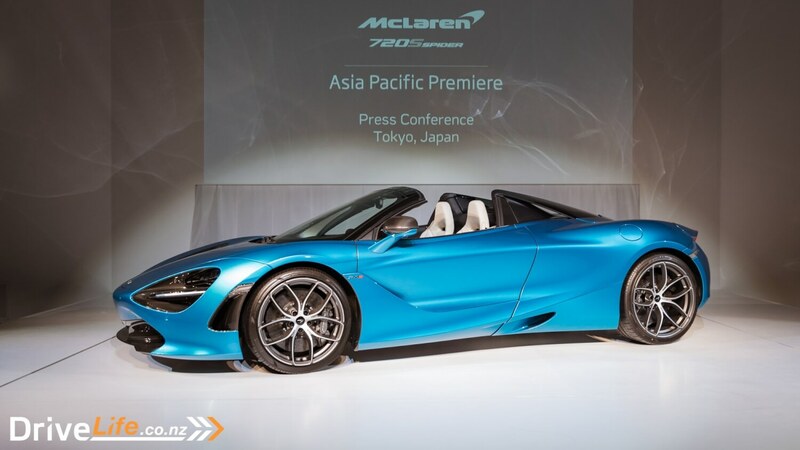 To kick things off in 2019 McLaren chose Japan as the first market in the Asia-Pacific region to show their latest car, the 720S Spider. 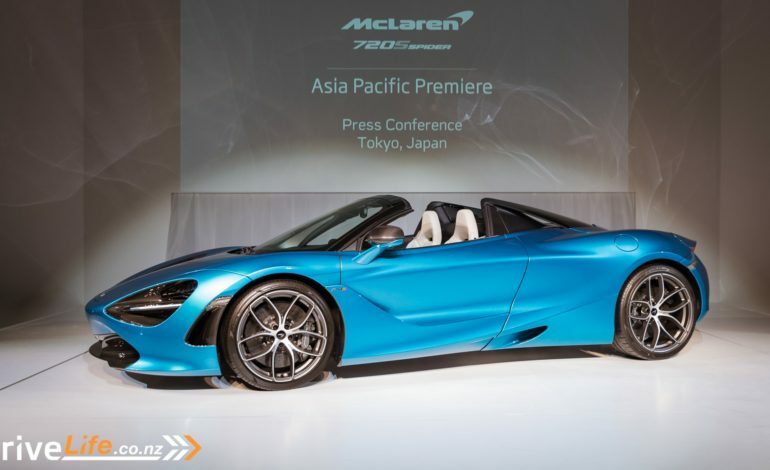 McLaren hopes to keep up their upwards momentum with the launch of a convertible that can do over 320 kph with the roof down. Because there are far too many millionaires in the world won’t settle for convertible that can’t break the 200 mph barrier. I’ve reviewed the 720S coupe here last year and was blown away by the performance, handling, and usability of it. The Spider promises the same experience but with extra headroom. The numbers are staggering. Powering it is the same 4.0-litre twin-turbo V8 as the coupe producing 537kW/720hp and 770NM of torque. Power is sent to the rear wheels via a 7-speed dual clutch gearbox. That’s enough to get it from 0-100 kph in 2.9 seconds (identical to the coupe) and 0-200 kph in 7.9 seconds. Top speed, with the roof off, is 325 kph and a mind boggling 341 kph with the roof on. 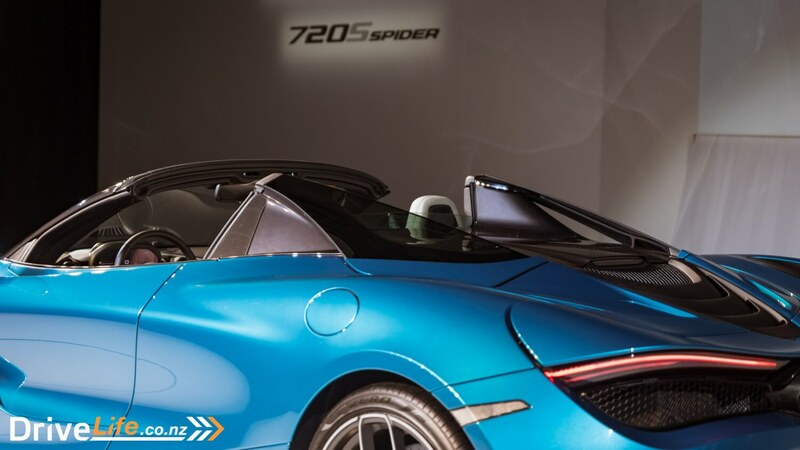 What’s even more impressive is even with the retractable hardtop, the Spider is only 88kg heavier than the coupe. 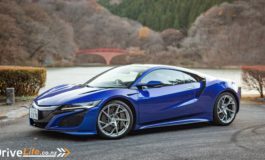 That’s thanks to McLaren trick Monocage II carbon fibre tub which retains the rigidity of the coupe without the need for heavy strengtheners in the chassis. The roof itself is a thing of beauty. 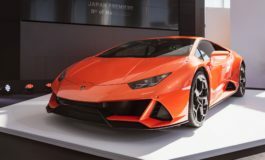 It’ll open and close in 11 seconds at speeds up to 50kph and can be optioned with electrochroamatic glass so it can be darker or brighter at the touch of a button. Clever. 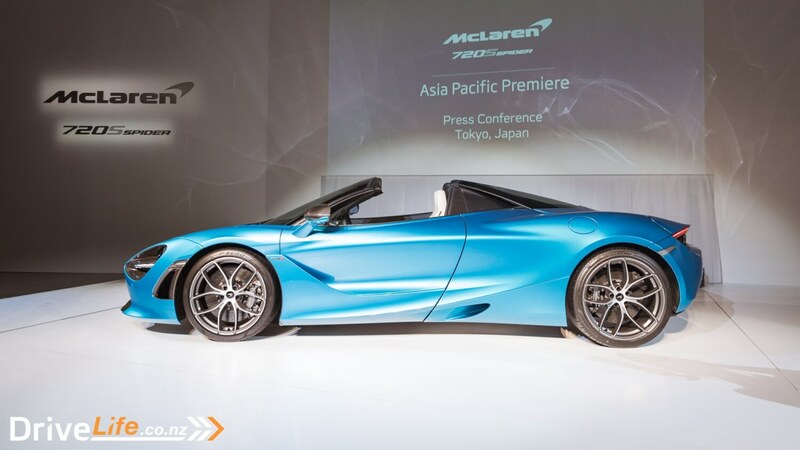 But what I like most about McLaren is they’re so full of these techy, geeky engineering yet are able to combine all that nerdiness with a beautiful, sculpted, almost art-like design. 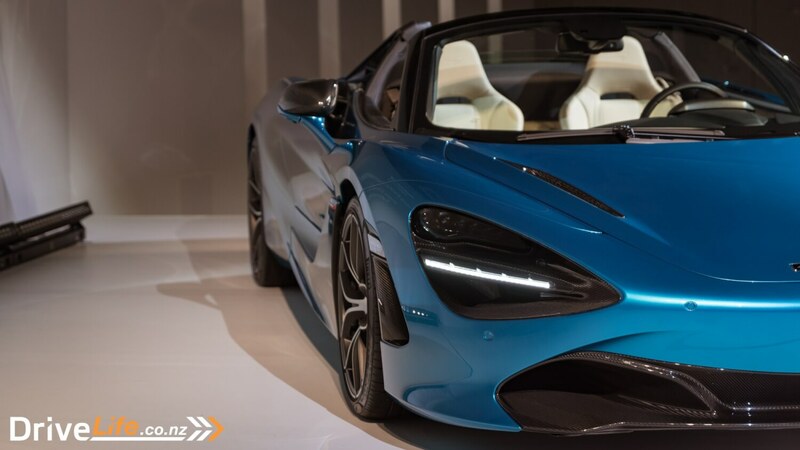 The 720S is a jaw-dropping thing to look at but the Spider adds just that little bit more drama. The launch colour, Belize Blue, is a true thing of beauty on its own. The depth and the sparkles of the paint is truly something to behold. 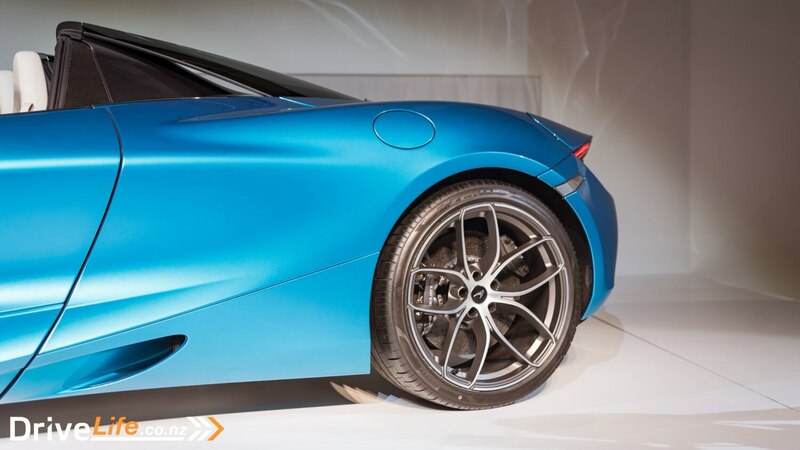 One of my favourite features of the 720S Spider are the glass pillars behind the buttresses to give better visibility. 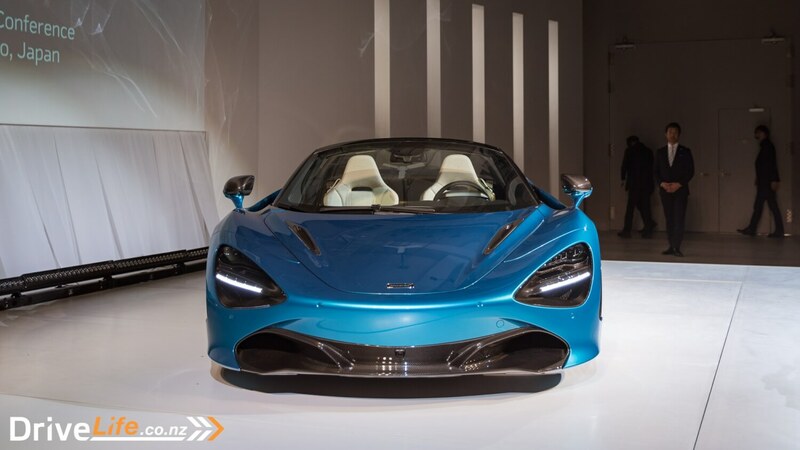 The 720S coupe has quite possibly the best visibility of any supercar, the glasshouse just makes it so easy to see out of. They’ve tried to work the same magic with the Spider. 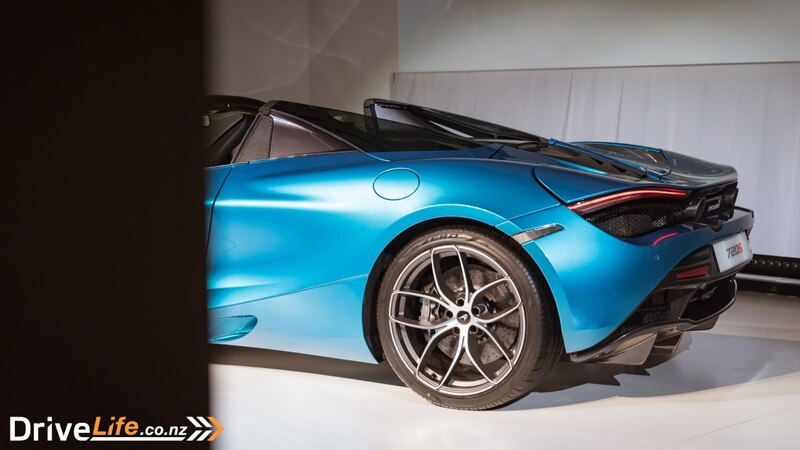 I remember in the 570S Spider it was difficult to see over my shoulder when merging because of those buttresses, but they’ve solved that with the 720S. 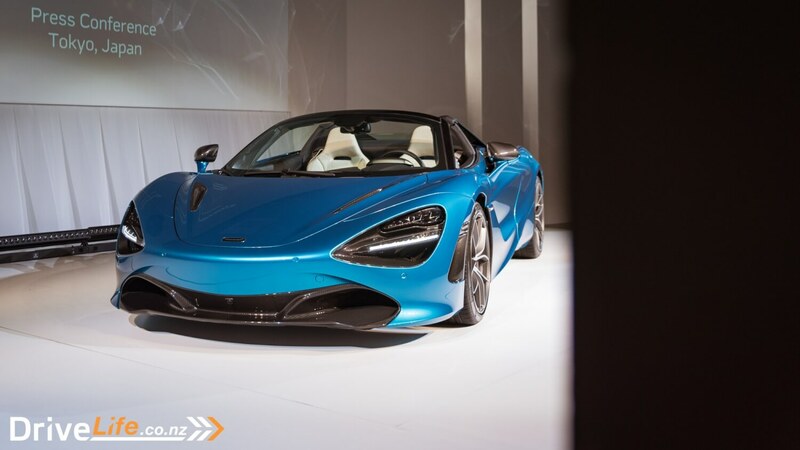 If it’s anything like the 720S Coupe to drive, and from experience McLaren taking the roof off their cars only enhances the driving experience, it’s going to be phenomenal. The 720S still remains to this day the most impressive car I’ve driven. The grip, the ride comfort, and the steering were all equally as impressive but it’s the speed and power that dominates. It’s blisteringly fast. With the roof down, I can only imagine how that would feel like. 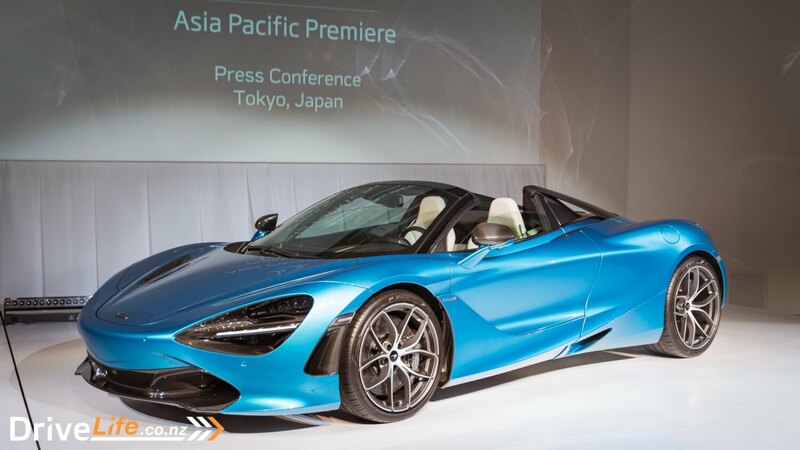 The 720S Spider goes on sale in Japan in March with prices starting from an equally impressive ¥37,888,000 ($504,891). 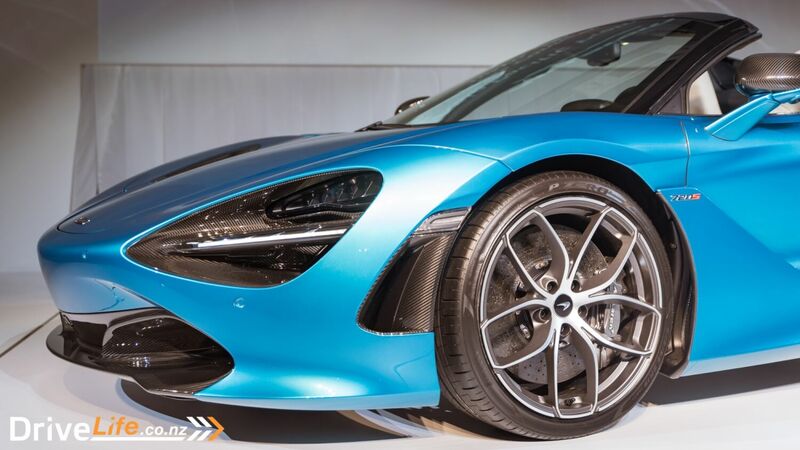 With prices for the 720S Coupe being rather similar in Japan and New Zealand, expect it to be in the half million dollar ballpark when it lands in New Zealand later this year too. It’s a lot of money for sure, but compared to rivals it’s a performance bargain. But is it worth the extra over the 570S Spider though, a favourite of mine, well I’ll just have to find out soon.